WWE.com is one the world's most-trafficked sites. 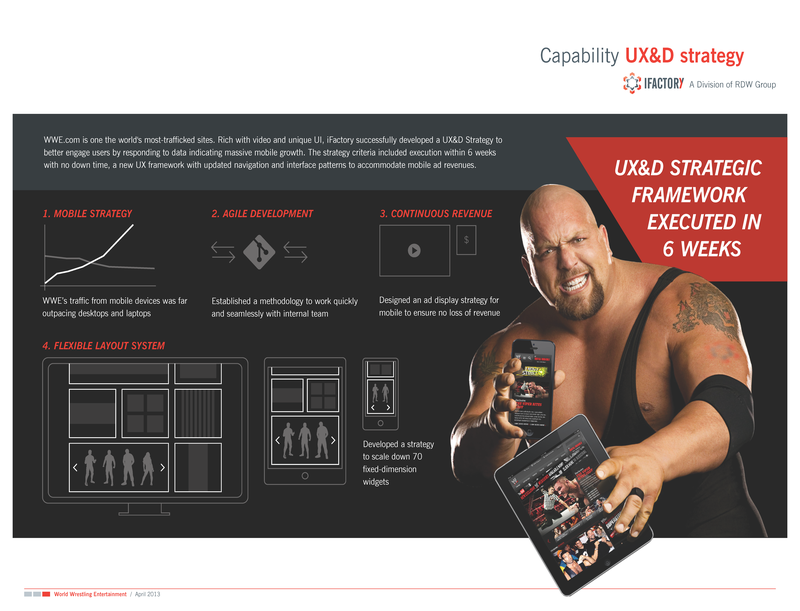 Rich with video and unique UI, iFactory successfully developed a UX&D Strategy to better engage users by responding to data indicating massive mobile growth. The strategy criteria included execution within 6 weeks with no down time, a new UX framework with updated navigation and interface patterns to accommodate mobile ad revenues. iFactory designed and developed the WWE public website. Contact iFactory to learn how we can help your organization expand its web presence and grow its digital footprint.